I had this outfit custom made to my measurements, and I am tall and plus size. It comes with: 1. Black jacket- which was unlined stretch twill of a very nice weight (like black denim) and very nice. 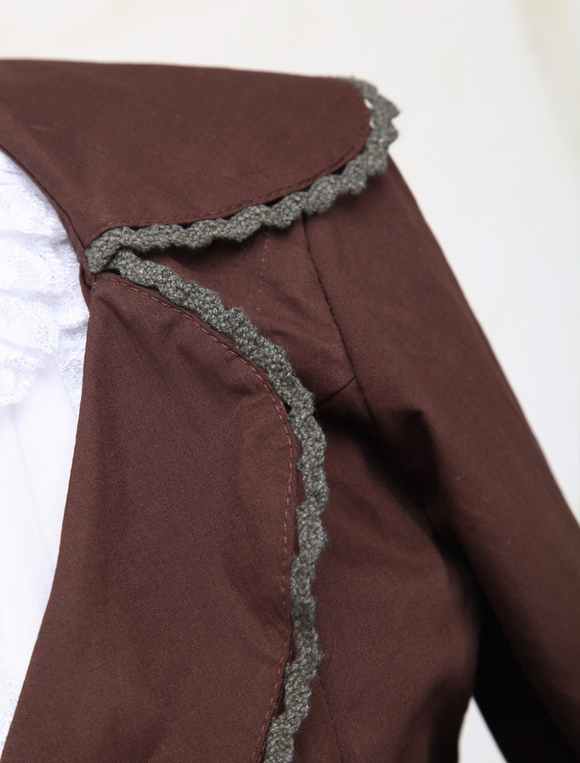 The pockets of the jacket are decoration and do not open or work. 2. White blouse- made of a white cotton blend that has a bit of stretch. 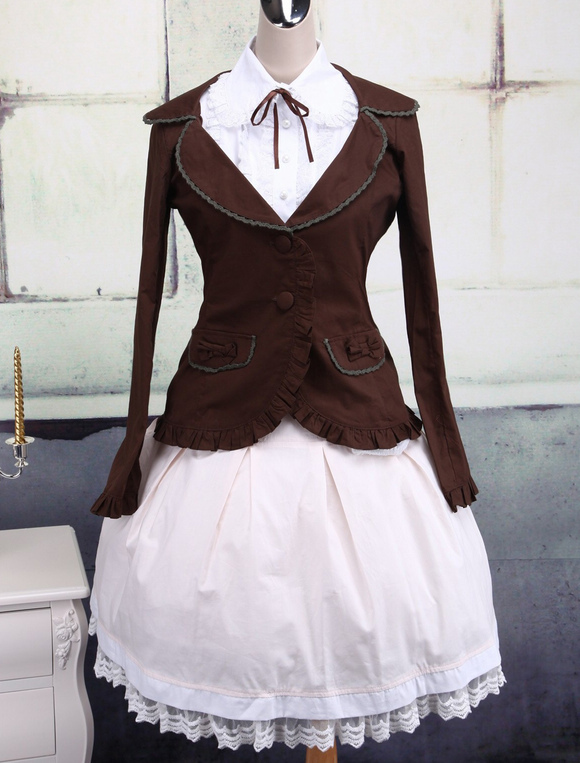 The blouse is very pretty, and comes with a brown ribbon to make the bow at the neck. 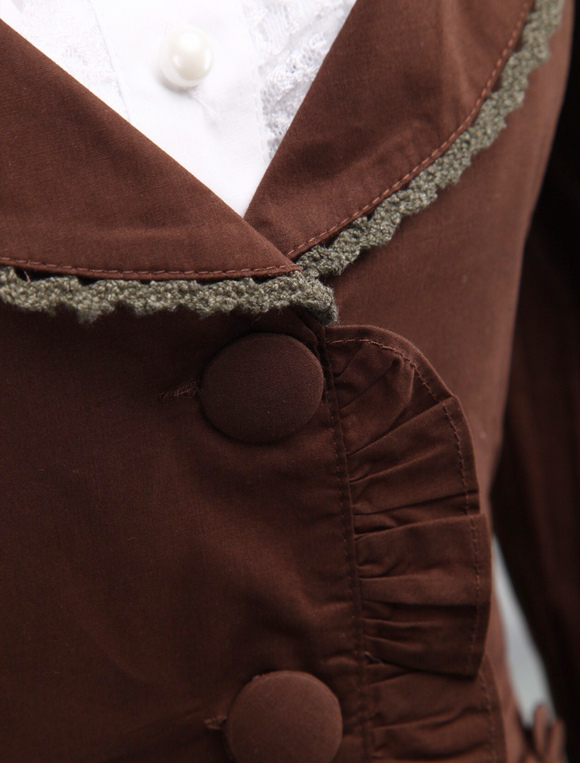 The blouse is waist length and does not tuck in. 3. 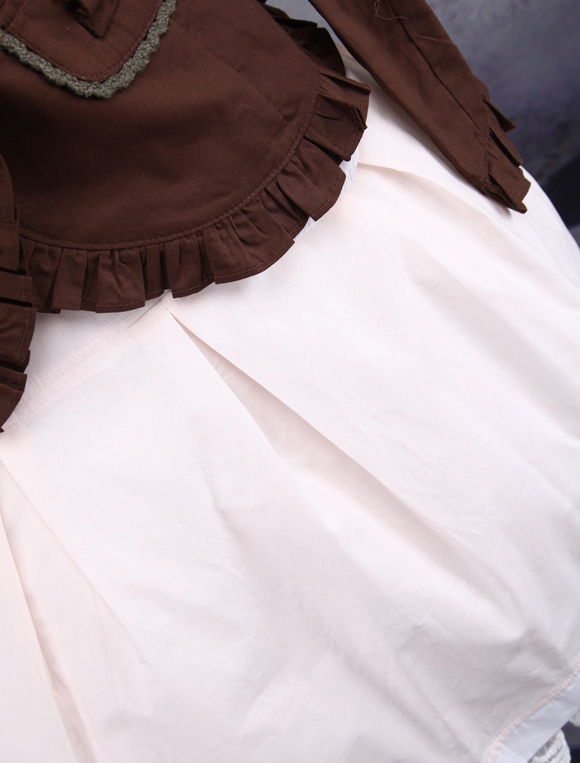 Soft pink skirt- the skirt has a yolk (fitted top portion), and then a full skirt with a few pleats. 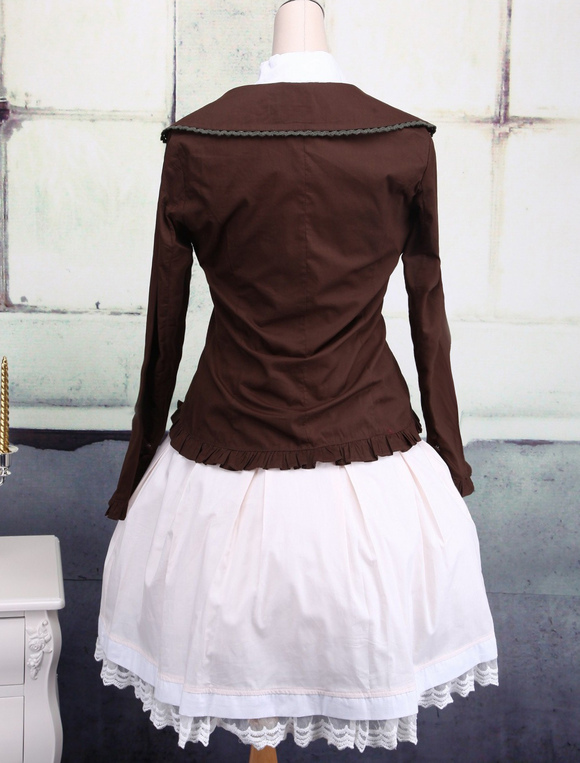 The bottom of the skirt has a white band and a bit of lace. I had the outfit made to my measurements so it is below my knees. 4. 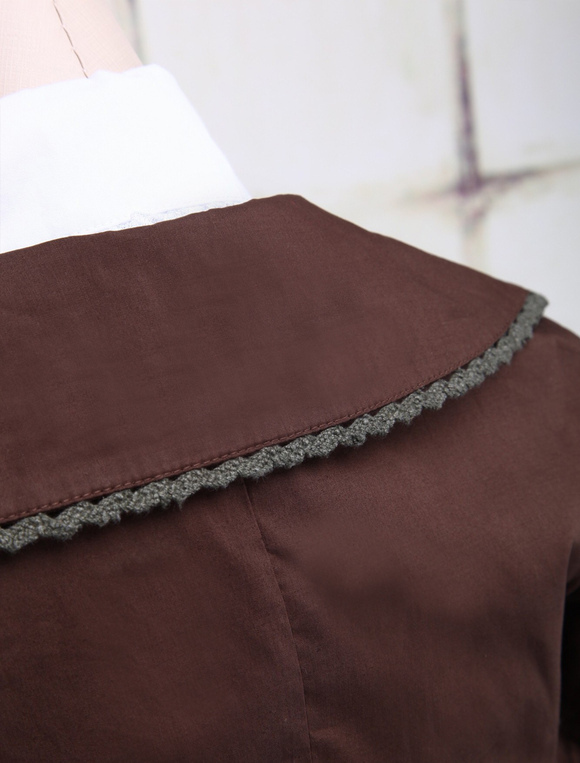 Petticoat- this is a wide, soft elastic band with a few layers of net, and about 12 inches long. It does not hold the skirt out. Overall I think they did a good job and I will order from them again! 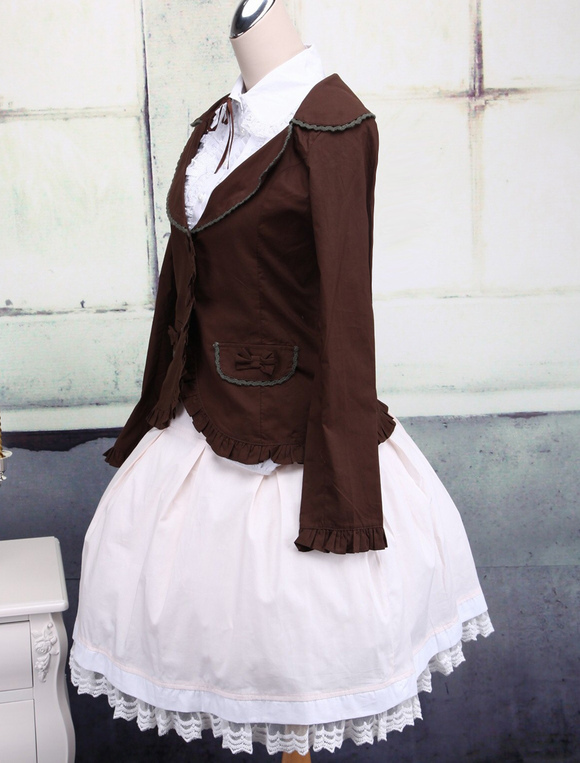 Now, this set includes the jacket, blouse, skirt and petticoat. a Nice deal. Though it should to warned, that the skirt comes in a much deeper purple and the jacket and a deep black (or at least mine was) And make sure you measure yourself instead of assuming... I kinda.. popped a button on my blouse since I'm a little bustier than the size allows.